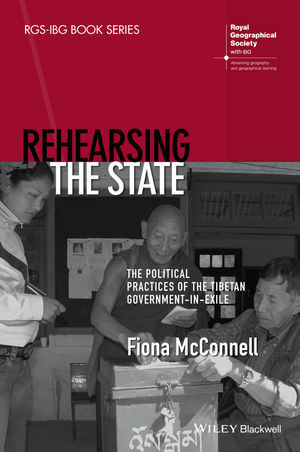 Rehearsing the State presents a comprehensive investigation of the institutions, performances, and actors through which the Tibetan Government-in-Exile is rehearsing statecraft. McConnell offers new insights into how communities officially excluded from formal state politics enact hoped-for futures and seek legitimacy in the present. Fiona McConnell is Associate Professor in Human Geography at the University of Oxford. She is co-editor of Geographies of Peace (2014) and Diplomatic Cultures and International Politics (forthcoming), and sits on the Board of Directors of the Tibet Justice Centre.